58% of Fortune 500 are using solutions from Google Enterprise. No one likes surprises. You want to get way out ahead of your move to the cloud. Rather than asking permission of the rest of the executive team, I would work to gain their blessing. Winning buy-in of other leaders in your organization is very important, especially for very large projects. Obviously leaders are not only at the top, so you'll also want to reach out to leaders at every level of the organization. Establishing a 'Google Guides' program is an exceptional way to find your allies. If possible I would communicate 1-on-1 with other executives first. Let them know you are working to move the organization forward into the cloud and determine their primary questions so you can prepare the proper information for their review. The most frequent questions are typically pretty basic. Will my data be migrated? Will it work on our smartphones and tablets? 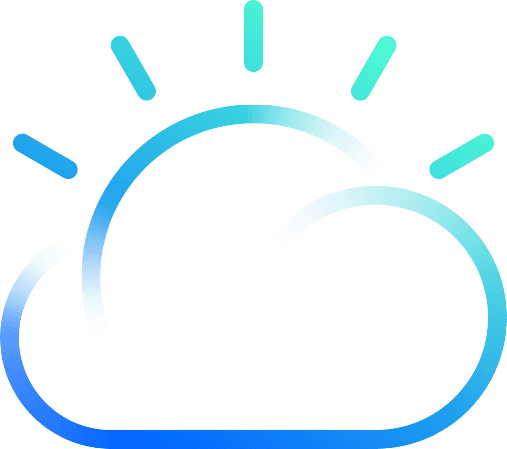 The ability to deploy cloud computing applications without expensive capital investments in hardware and software is a defining benefit of this modern computing paradigm. Thankfully training people to use the cloud can be accomplished with the cloud! Boost eLearning and Synergyse are two great solutions built on Google's cloud infrastructure that can be rapidly deployed to employees at a fraction of the cost of traditional eLearning suites or classroom based training sessions. Boost, for example, has bite sized clips about just about everything your team members will need to know. You can even add your own custom content for distribution to your employees. Employees can review training at their own pace from any internet-connected device. Reporting is available to determine how training is being leveraged by each department across the organization, helping you identify potential "soft" points in your communications. Specific to custom content, you can add more tips and tricks for your Outlook users. You may find several Outlook and Gmail power users who are one in the same or are two people excited to help and willing to help you create custom training content. Empower those who want to help. Gmail's Labels are a multi-tool, they can serve several functions. Foldering is one of those functions. To keep your Outlook users comfortable, focus on the sameness of Labeling and Foldering rather than the differences. Messages can be dragged and dropped into Labels or Sub-labels. A Filter, aka a Rule, can be created to have messages automatically land in a Label based on specific criteria. Single or multiple messages can be dragged from one Label to another. Labels can be moved to become Sub-labels or Sub-sub-labels at any time. Gmail's search options can be used to search individual Labels rather than 'All Mail' (which is the default). Organizing is the single most important act of an effective Outlook user. While Gmail negates the need for all this organizing, it is best to guide, rather than push, people to this new reality. When we talk to employees about Outlook for iPhone ... just kidding. Gmail specifically and Google Apps generally offer much more advanced mobile and cross-platform capabilities than their legacy counterparts. The Gmail apps for iOS and Android are very robust and are apps many employees may be leveraging already. Showing employees how much more functionality they'll have on their mobile device can help get people excited about the change. Gmail can also bring together work across PCs, Macs, Linux and any other web-enabled device in a way Outlook never could. Many employees may have Apple devices at home that they'd love to leverage more effectively while working remotely to avoid bad weather or to stay home with the kids. In the next year, tablet sales are expected to outpace the sales of traditional PCs. Already, in your organization, a majority of devices you enable do not support Microsoft Outlook. Yes, you are taking something familiar away, but you're replacing it with something familiar to many that works across many more devices. People have already been letting go of Outlook for years in exchange for iPhones, iPads, Macs, and Android devices. Not to mention those developers leveraging Linux distros like Ubuntu, Mint, Mageia and others. 5. Hit Search Training Hard! For new users, Gmail's search is a blessing and a curse. You don't need to know anything to start using it, just like Google's famous web search engine. This is especially great on the web when we're not always sure what we're looking for, general is good. But in Gmail, we're looking for something extremely specific. This is a critical distinction. Gmail's search is many times more powerful than anything an Outlook user will be accustomed to and herein lies the challenge. Gmail's search will instantly return every matching result from 'All Mail'. The Outlook user typically uses search as a last ditch effort and typically only on one folder at a time. The new user often fails to combine simple search criteria ... just using an email address rather than an email address and additional content like 'report' or 'has:attachment'. They'll fail to add 'to:' or 'from:' in front of the email address to get more specific results. Users will often navigate to a specific Label and then Search, assuming Gmail will return results from that Label. Gmail always searches 'All Mail' unless the Label is specifically selected in the Search options or designated in the Search Bar. A handful of tips delivered consistently and repeatedly will turn your new users into search experts in no time. We encourage organizations of all sizes to implement a Google Goorus or Google Guides program. You seek out those individuals across the organization excited about the change to Gmail. These individuals typically leverage Gmail personally and often have experience leveraging Gmail with a previous employer. The purpose of the program is to provide additional resources for your new users. People feel more comfortable asking questions of people they know. Most departments have those individuals others lean on for technical advice. Guides can be designated with signs at their work stations, t-shirts, hats, stickers, in communications or all of the above. Guides shouldn't be expected to know the answer to every question, you should provide them a clear and easy way to route questions to additional team members. It's very common to provide "Early Adopter" access to Guides. The web is the most important user-facing platform in history. The power of the web has changed nearly every industry in a very short period of time. The web allows us to easily "plug-in" additional features and functionality to the Google Apps platform in seconds. We can test out new apps more easily than anyone ever imagined. Introduce key influencers to the true power of the web as a platform. Show your executive team Everconnect to automatically keep their contacts up to date. Introduce project-centric peers to Smartsheet, introduce a sales manager to Base CRM, YesWare, or Streak. Check out Lucidchart for collaborative online diagramming to make it easy to draw flowcharts, org charts, wireframes, UML, mind maps and more. Introduce those with regulatory and compliance responsibilities to Google Vault and CloudLock. Introduce administrators to FlashPanel and the Google Apps General Audit Tool. Check out the Google Apps Marketplace and Chrome Web Store for an amazing selection of apps and services. The web is exponentially more powerful than the desktop, introduce the potential early and often. For those times when you simply can't get an individual to move to Software-as-a-Service for whatever reason, Google Apps Sync for Microsoft Outlook (GASMO) is a good option. GASMO leverages the Messaging Application Programming Interface (MAPI) message architecture to connect Outlook to Google. MAPI is the proprietary protocol used by Outlook to communicate with Exchange. In short, GASMO allows Outlook to leverage Gmail as it would an Exchange Server. GASMO allows you to use Microsoft Outlook 2003, 2007, 2010 and 2013 effectively with Google Apps. GASMO is not something to lead with because it negates much of the value of cloud computing, the web as a platform, and modern computing services. Yes, you move your firm to the cloud but you still have a bottleneck between the true value of cloud computing and your employees. GASMO should always be the exception, never the rule.